If you have any questions about the JIMORA information page below please contact us. This well proportioned luxury yacht JIMORA is a motor yacht. 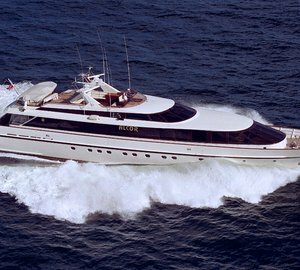 This 35 m (114 ft) luxury yacht was manufactured by Porsius Group Holland Bv in 1988. JIMORA used to be 622 Alcor. Superyacht JIMORA is a impressive yacht that is able to accommodate as many as 8 guests on board and has a total of 5 qualified crew. Launched in 1988 the traditional internal styling reveals the traditional approach in the designing of Joachim Kinder Yacht Design. The yacht's general design work came from Gerhard Gilgenast. The formal naval architecture drawings are a work of Gerhard Gilgenast. Motor Yacht JIMORA received her stylish interior designing from the interior design company of Joachim Kinder Yacht Design. the Netherlands is the country that Porsius Group Holland Bv completed their new build motor yacht in. After her official launch in 1988 in Zaandam the boat was handed over to the yacht owner following sea trials. Her core hull was crafted from aluminium. The motor yacht main superstructure is made predominantly from aluminium. With a beam of 7.38 m or 24.2 ft JIMORA has reasonable size. A fairly shallow draught of 1.74m (5.7ft) limits the list of certain marinas she can visit, depending on their individual characteristics. This ship is powered by twin powerful MTU main engine(s) and can attain a invigorating max speed of approximately 32 knots. The main engine of the ship gives 2610 horse power (or 1921 kilowatts). Her total HP is 5220 HP and her total Kilowatts are 3841. For propulsion JIMORA has twin screw propellers. With respect to the ship’s stabalisers she utilises Vosper. This yacht’s energetic cruising speed is 30 knots which offers a range of 3000. The well proportioned luxury yacht M/Y JIMORA is able to accommodate as many as 8 people in addition to 5 crew members. 34.8 metres / 114.2 feet. Total engine power output 5220 HP /3841 KW. 32 nautical miles per hour. Range in nautical Miles is 3000 at a speed of 12 knots. Northern Lights 2 times 50 kilowatts. 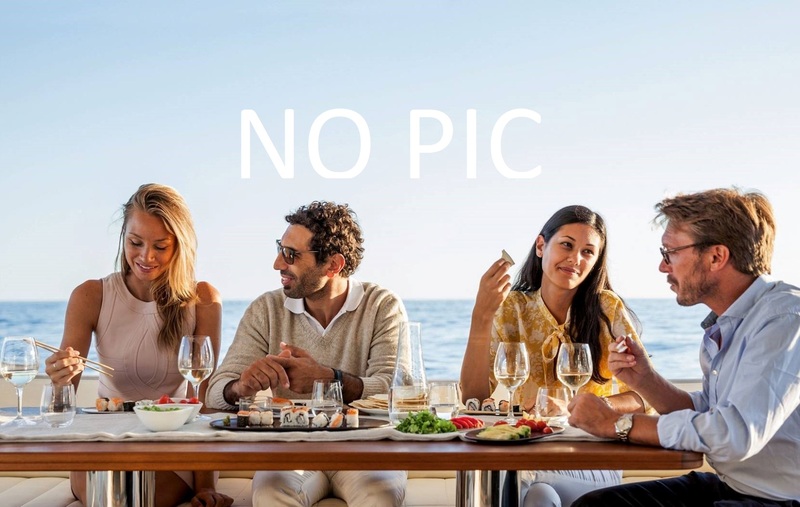 The luxury yacht JIMORA displayed on this page is merely informational and she is not necessarily available for yacht charter or for sale, nor is she represented or marketed in anyway by CharterWorld. This web page and the superyacht information contained herein is not contractual. All yacht specifications and informations are displayed in good faith but CharterWorld does not warrant or assume any legal liability or responsibility for the current accuracy, completeness, validity, or usefulness of any superyacht information and/or images displayed. All boat information is subject to change without prior notice and may not be current.